There was a tradition of paper diorama in Japan, called Tatebanko or Okoshi-e, from around the 17th century until the 1920s. 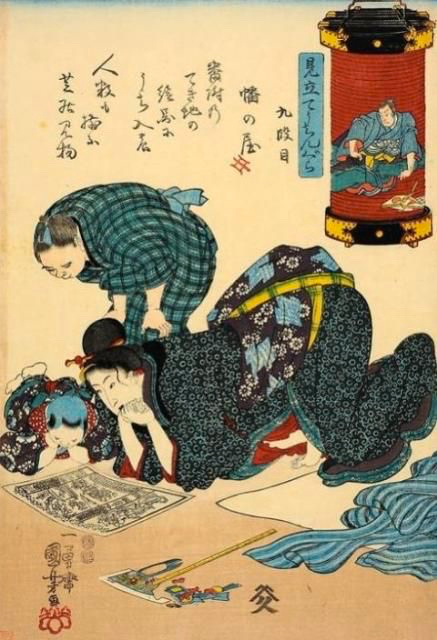 They were woodcut prints, often designed by well known Ukiyo-e artists, commercially made and sold. They were very popular for a while, being displayed alongside the street with candles, to entertain people who went out for the evening breeze in summer. Because of their nature of being chopped up, glued and displayed, there rarely survived after being enjoyed as diorama. 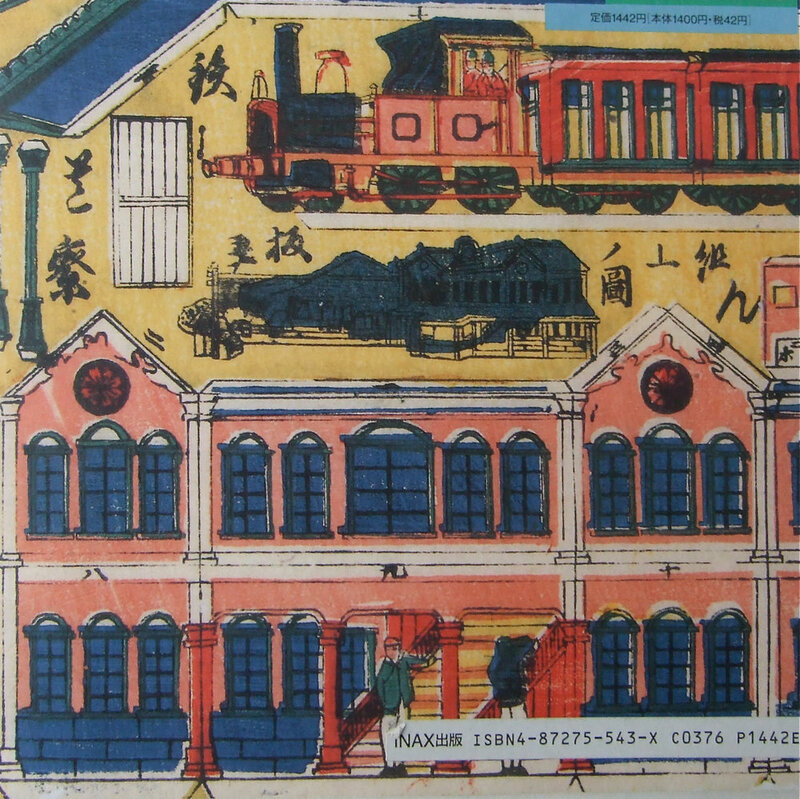 This book, published by INAX in 1993, shows the amazing world in flat sheets and also reconstructed diorama. 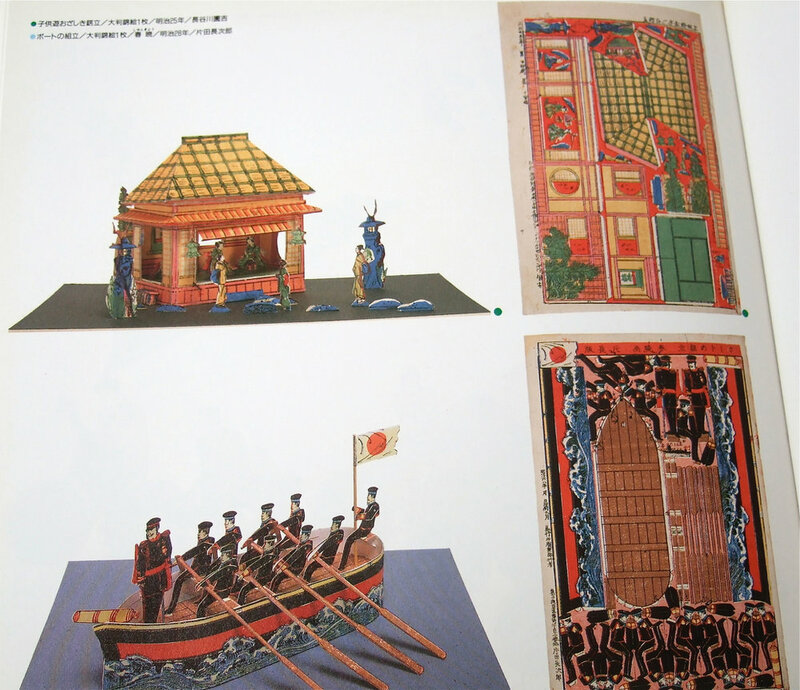 For example, the top picture together with one above ( the cover of the book ) are the original sheet of the diorama below – a modern station and train in the Meiji era. Other examples are showing the steel made Shinsaibashi bridge in Osaka, again in Meiji period, followed by tea ceremony house with dry garden and a boat with soldiers rowing. The last picture is Tatebanko is depicted in an Ukiyo-e, made by Utagawa Kuniyoshi (1797 – 1861), showing a pair of scissors and a ruler beside the cut out pieces of paper. Kuniyoshi is a famous artist who also made some Tatebanko.